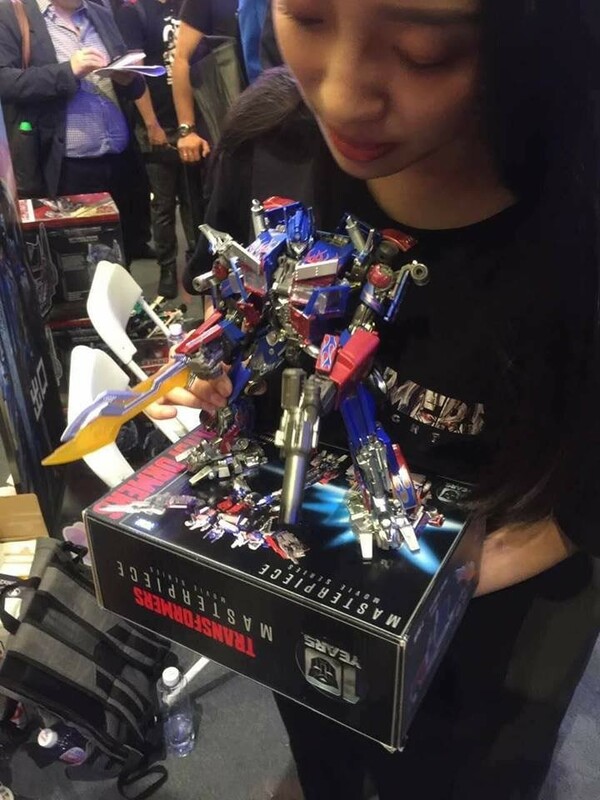 The rumoured second Movie Masterpiece toy (numbered as 4, despite 1 & 2 being Japanese toys), is Optimus Prime (which many people knew already)... and it has finally been officially shown off today in China by Hasbro. 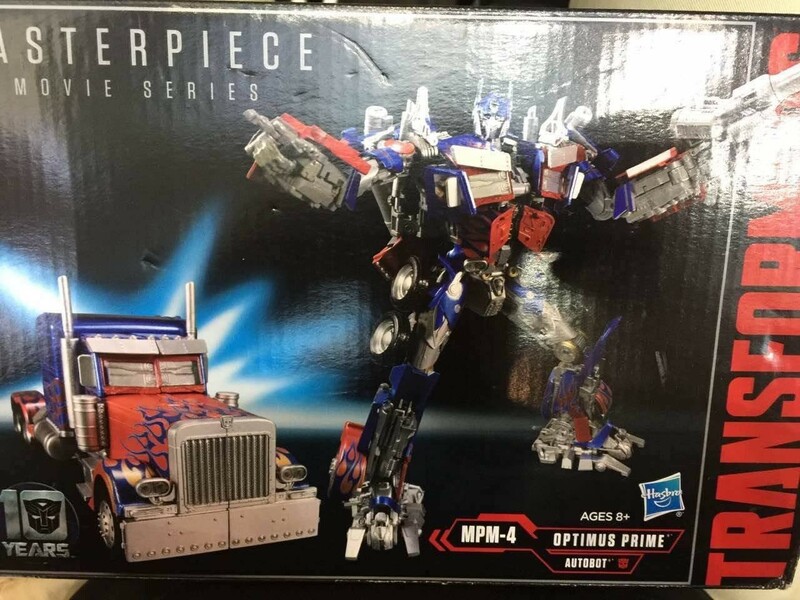 Oddly enough, it is not the TF4-5 Optimus version (the new truck form), but the TF1-3 Optimus version. It does note it being the 10th anniversary of the Movie series, so having the original form is applicable... but it looks a lot like the Leader/Striker Optimus toy, and might put off a lot of people who might have been expecting, and willing to pay a "masterpiece" price for a kibble-less leader sized TF4-5 Optimus toy. Last edited by griffin; 28th April 2017 at 04:17 AM. I'm definitely curious as to what this figure does differently to the RotF leader class mould, which was regarded as having Masterpiece-level engineering itself. So far it seems that the truck headlights on the lower torso are the actual truck headlights, not faux items like the ones on the previous mould, and the panels on the back seem to fold differently. Well the gun and swords can combine into...a gun turret that clips into the rear of the truck. Following the unveiling of this toy to a public event in China (sounds like it was one of those midnight toy launches), Hasbro have released official images and a press release to go with the first look at the toy. Unwatermarked images can be seen here. Also interested, but considering I own 4 versions of the ROTF leader mold I'd need to see what was actually different between them. The official pics make his torso look rather round, perhaps it's just the angle. Paint aps look great though! I only own the first version of ROTF Leader Prime so the paint alone is enough to seal the deal for me. Although TFW's front page claims it's an all new mould, it looks to be a heavy remold of the RotF Leader figure. I didn't think the changes to the RotF mold would be significant enough for me to justify a purchase but I sit corrected. Now to wait for an MPM AoE/TLK version. The new Voyager mold gives me hope that it is indeed possible to recreate the design in plastic form. A Masterpiece figure based on knight design will be glorious. Looks really good, definitely keen on this as it looks to be a big enough of an upgrade over RotF Prime. I really hope this line continues and isn't just a once off. It may eventually a MPM Grimlock down the line.